Corporate Summary - MILLION Co., Ltd.
To contribute to a 「Happy Aging Society」 that becomes happier with age. That is our mind of Million Corporation. In the early part of this century, computers have surpassed the human brain. and the era of Singularity and Transcendence has arrived, treatment methods once thought impossible by the human mind are being discovered and life expectancy is said to dramatically increased. Even in the world of health and beauty, personalized services made possible by DNA and behavioral records is expected to rapidly advance intelligentization. We believe that an era will come when IoT (Internet of Things) technology, which combines devices and the Internet, will become commonplace. In such a future, we will be able to deliver impressive services at a reasonable price on a timely manner by fully grasping the needs and necessities of each and every customer in real time. MILLION Co., Ltd has been advocated by many customers, as a manufacturer of health equipment & health foods and active developer in the health field with the aspiration for the health and longevity of the people since its founding in 1983 more than 30 years ago. To satisfy the needs of both the body and the mind, we have also entered the beauty industry. In this era of ever advancing Internet technologies that makes fine-tuned personalized services possible, we continue to raise our customer service levels while never losing sight of our value of “realizing the happiness of each person”. Japan is now the country with the longest life expectancy in the world, and the lifespan for both men and women grows every year all over the world. On the other hand, according to Japan’s White Paper on National Life, Japan’s happiness declines every passing year after 50 years of age. As the population of elderly people continues to increase, we have made “contributing to a society that becomes happier with age (Happy Aging Society)” our mission. MILLION Co. Ltd is committed to our mission to deliver products that fits our customer’s needs. Our underlying wish is for each individual experience to lead to happiness. We believe that by accomplishing this we have made a small contribution to the world. There is no bigger pleasure than to have served our customers even in a small way. Every one of our employees place customers first, being mindful of needs and working hard to build a society where our customers believe to be great and to continue using Million's products. We are currently developing an omni-channel that integrates customer data from both our online and physical stores. We would like to offer these systems to other companies in the future, as our contribution to a more convenient society. The more we know about our customers, the more rapid and optimum we can respond to our customer challenges. It is a sentiment that all our employees share when developing and providing high quality products. To develop a society that gets happier with age (Happy Aging). That is in the minds of everyone at MILLION Co., Ltd.
We have set the mission to “Expand the circle of long life and healthy life,” we have been engaged in the planning, developing, manufacturing and sales of products that support a healthy lifestyle since 1983. As a result, we were able to produce hit products such as the odorless garlic supplement “Million Power” that has a cumulative sales of over 7 million boxes, and “Domestic Green Yellow Vegetable Juice” that has cumulative sales of over 20 million bottles. We reevaluated our philosophy at our 30th anniversary in 2013. We decided to set the goal of becoming the “Happy Aging Company that creates smiles and happiness for people.” We were not content with just contributing to a healthy and long life but also to a prosperous and beautiful life as well. With that in mind, we have decided to expand into the beauty industry in addition to our health industry endeavors. As a result, we have received a lot of comments saying “I trust this product because it’s by MILLION”. We are both humbled and excited by these comments. It reinvigorates our sense of mission to support the smiles and happiness of our customers. We will continue to evolve, not only in Japan, but also into emerging markets such as China, by supplying products and online services for the beauty field, for the happiness of customers all over the world. Thank you very much for your continuous support of the MILLION Co., Ltd.
Graduate of the Waseda University Faculty of Science and Engineering and a Masters degree graduate of the Digital Hollywood University. 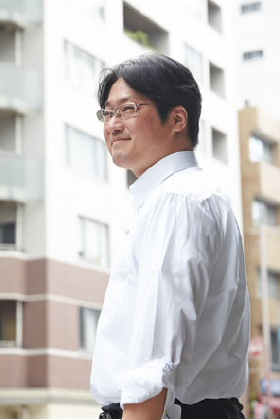 Developed core/distribution system, developed new businesses in the health/medical/environmental field, and was responsible for energy chemical plants and project finance at NISSHO IWAI, conducted hands-on internet business at TOSHIBA, rapidly expanded business of an e-commerce company for the fashion and entertainment field as its president. Has launched and helped reformed multiple businesses as a serial entrepreneur after becoming independent and has also self-funded numerous aspired small and medium businesses. He now drives the company goal of creating a “Happy Aging Society,” and is currently building a business model that breaks pre-existing concepts. Company Name: MILLION Co., Ltd. Address: 1-12-5 Sakuragi-cho, Omiya-ku, Saitama Prefecture, Japan. Reception Time: 9am to 6pm (5pm on Saturdays), except Sundays and Public Holidays. Nearest Station: 10 minutes walk from Omiya Station. JUPITER SHOP CHANNEL Co., Ltd.
MATSUMOTO KIYOSHI HOLDINGS Co., Ltd.
ALL JAPAN DRUG Co., Ltd. The 7 founders with over 10 years experience developing health beddings founded the predecessor entity of MILLION Co., Ltd, SHIN NIHON HEALTH Co., Ltd. with the goal of developing the health industry of the future. With 20 million yen capital and NICHIMEN Co., Ltd., BRIDGESTONE DIVERSIFIED CHEMICAL PRODUCTS Co., Ltd., HITACHI CHEMICAL Co., Ltd., SEKISUI CHEMICAL Co., Ltd. etc. as its core suppliers. Japan’s first attempt at manufacturing aluminum vapor deposits incorporated bedding “Alpino” using new materials from HITACHI CHEMICAL Co., Ltd., SEKISUI INDUSTRIES Co., Ltd., BRIDGESTONE DIVERSIFIED CHEMICAL PRODUCTS Co., Ltd., HITACHI AIC Co., Ltd., Started production at the BRIDGESTONE DIVERSIFIED CHEMICAL PRODUCTS Co., Ltd.’s Honjo factory. Production of the dual-use pillow “Lime Pillow” commenced simultaneously at the BRIDGESTONE TIRE Co., Ltd. Yokohama Plant. Released the Sativamin Complex developed by Dr. Hisashi Kumaki with Ube Industries Biotechnology under the brand name “Million Power” with cooperation from Ube Industries Ltd.
After Ube Industries Ltd., withdrawal from the health food business, we took over the responsibilities of health food products developed by Dr. Komaki with cooperation from SEINOUKEN Co., Ltd., and ALPHA Corporation. Changed the company name from SHIN NIHON HEALTH Co., Ltd to MILLION Co., Ltd. Released “Pushuke (Psyche)”(Health drink / Intestinal beneficial bacterial culture extract) developed by Dr. Komaki Laboratory. Further capital investment of 40 million yen. Released chiropractic mattress “Tsuru no Yume (Dream of Cranes)”with the cooperation of HITACHI CHEMICAL Co., Ltd. Released the sister product of the conventional chiropractic mattress “Tsuru no Yume F (Dream of Cranes F)” (Standard Version). Released “Million’s Collagen 60”, hyaluronic acid blended with collagen for retail sale. Released glucosamine, chondroitin “Glucosamine & Chondroitin” formulated with white willow. Released maqui berry based eye care supplement “Kukkirin”. Released “Megami Flora (Goddess Flora)”with 17 types and 1.7 trillion lactic acid bacteria. Released “Massage Roller” with unique 5-point roller.